Take a peak at what we have for you! Call PaperRozzi Invitations for your wedding invitations! Appointments are recommended. Reach us at 585-671-8070. If you need a specific time, we can work with your schedule! We have some fabulous wedding invitations with new ones arriving monthly. 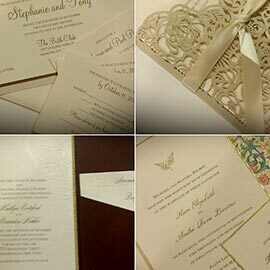 See some new and popular wedding invitations.